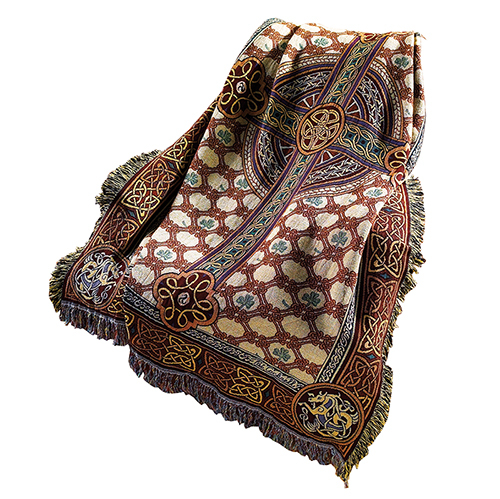 The intricate jacquard weave of this beautiful Celtic Cross throw features a pattern of interlocking knots, a symbol of eternal life to the ancient Celts. 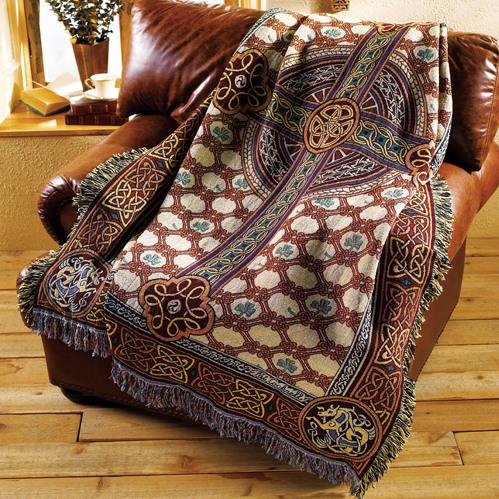 The symbols of the Trinity throughout the design make it a truly special gift. Beautiful and luxurious! The colors do not show up well online. They are breathtaking! I immediately bought another one. The price is fair. I've seen similar throws for much more. Love it!